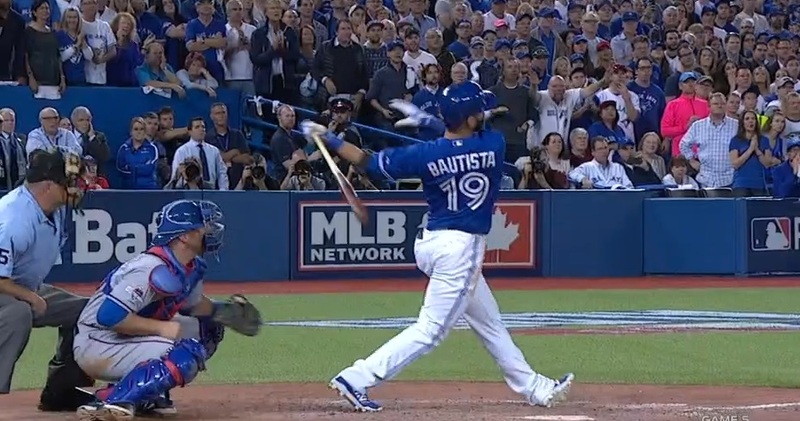 Jose Bautista’s bat flip yesterday was so powerful as to obscure the wildest game many of us have ever seen. 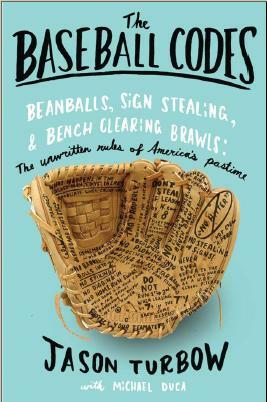 It has drawn endless opinions, many of which consisted of little more than the notion, “Wow, wasn’t that something?”—the hallmark of any sporting act powerful enough to draw the attention of the non-sporting public. Pure, visceral response to a pure, visceral moment. It was something. And it was magnificent. It was an all-world player at the peak of his powers, unleashing as violent a swing as you will see from a man entirely under control, against a fastball approaching 100 mph, in an inning that had already yielded so much drama as to leave fans emotionally drained, in a game upon which the season hinged, for a team that had not played for anything so meaningful in nearly a quarter-century. It was all that. It was more. There are those who feel that such displays—a hitter staring at his handiwork until after the ball has settled into the seats, then tossing his lumber with intensity approaching that of his swing—are beneath the sanctity of the game. They claim it shows up an opponent, that it offers disrespect, that in a world where self-aggrandizement has taken over the sporting landscape, humility is a necessary attribute for our heroes. Yesterday, many of those voices resided in the Rangers’ postgame clubhouse. They’re not entirely wrong. But they’re not entirely right, either. The moment would have carried no less gravity had Bautista simply laid down his bat and trotted around the bases. The hit would have been no less important. But the moment Bautista gave us was enduring, as physical a manifestation of pure emotion as will ever be seen on a baseball diamond. It was in every way a gift. Sports fandom, at its essence, is about embracing the weightiest moments, win or lose. About being fully invested in the outcome of a given play, able to devote one’s emotional energy toward joy or despair, depending upon whether things break your way. Those who criticize things like bat flipping and chest pounding and hand-signs to the dugout after hitting innocuous doubles, who decry them for subjugating key moments at the expense of stoking egos, are correct. Let the moments breathe. A player’s initial actions are inevitably more powerful than his ensuing reactions. Sometimes, however, someone transcends it all. Bautista’s display didn’t distract from the moment, or even highlight it—it was the moment, part of it, anyway, as inexorably intertwined with our collective memory as the pitch or the swing or the baserunners or the fans. More so, in many ways. What do we remember of the last greatest Blue Jays moment? Was it the swing Joe Carter put on that ball in Game 6 of the 1993 World Series? Or was it his joyous reaction as he literally leaped around the bases? Do we recall Dennis Eckersley’s backdoor slider, or Kirk Gibson’s fist pump after he deposited it in the bleachers? Would Carlton Fisk’s homer in 1975 mean half of what it does today had he simply rounded the bases instead of physically willing it fair? This wasn’t some preplanned shtick in some minor moment, no pulling Sharpie from sock following a midseason touchdown. This was one of the game’s great players coming through as profoundly as possible in literally the biggest moment of his career, and responding as such. It was so powerful that Adrian Beltre simply could not keep his feet, taking a seat on the turf as Bautista rounded the bases. Bautista deserved it. We deserved it. Save the indignation for the .220 hitter who tosses his bat some Tuesday in July. I may well join you. For now, though, I’m going to savor this for as long as I can. It wasn’t so much that Jose Bautista unleashed the pure-attitude king-hell mother of all bat flips during Game 5 Wednesday, it was that the Rangers took notice and Ken Rosenthal still saw fit to ask him about it afterward. Wherever we’re going, I guess we’re not there yet. Ration won the day again. Ramirez celebrated his 23rd birthday only two weeks ago, while the guy he showed up, Ricky Nolasco, is 32 and a 10-year vet. It wasn’t like he hit a bomb; his blast failed to clear the first row in right field and bounced back onto the grass. Most importantly, the Twins Cleveland led 7-1 before he swung, and 10-1 afterward. As best anybody could figure, Ramirez was upset with the fact that Minnesota had just intentionally walked Jason Kipnis to face him—a by-the-book move—and was letting off some steam. Afterward, Nolasco threatened that Ramirez “will get his,” and the baseball media swarmed. Talk of retaliation has been at something of a fever pitch following last week’s episode of Papelbon Madness. Molitor himself was visibly pissed, and folks couldn’t wait to see what the manager would do. Like Buck Showalter before him, however, Molitor sided with modern baseball reason. Instead of inflaming tensions by reacting to a perceived slight with tangible retaliation, he instead chose to do nothing. The Twins are a game back in the wild-card hunt, and have better things to worry about. Last night’s game—the teams’ final meeting this season—featured no hit batters. Perhaps this is the new way of things, an enlightenment that dictates jackoff showboaters unworthy of undue attention. Affeldt is right—the antiquated part of the Code is silly. But the stuff that governs the majority of big league ballplayers has evolved along with the rest of the game. It continues to mandate, as Molitor indicated from the top step of the visitors’ dugout in Cleveland, that respect be given an opponent. It also says now, in ways that would have been viewed as foreign a generation ago, that hard-line responses are not always necessary. There’s always the chance that Molitor was simply abiding by game flow on Wednesday. The Twins didn’t lead by more than a run until the ninth inning, and could not afford to cede baserunners to their opponents. They always have the option of picking up the string against Ramirez again next season. Guy flips like a seasoned vet.